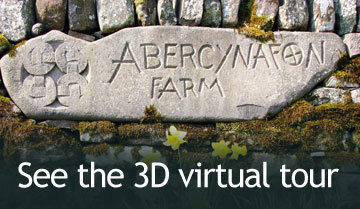 We’re sure you’ll fall in love with Abercynafon Farm Barn's beautiful location – the peace and tranquillity, stunning views and dark, starry skies – but you’ll want to know you’ll be comfortable in our self-catering holiday home too. 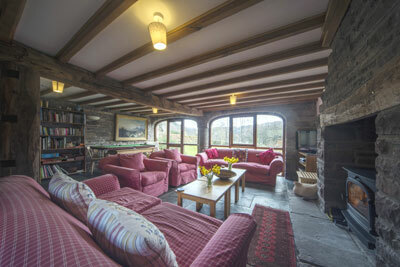 There is underfloor heating throughout and a wood burning stove in the sitting room. We’ll provide you with wood for the stove for your stay and there won’t be any extra electricity or heating costs to take you by surprise. 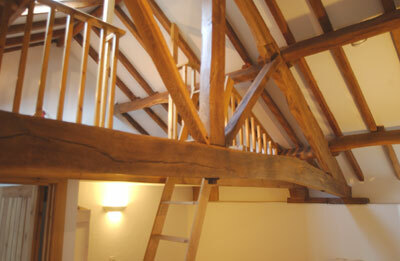 There are plenty of bathrooms and spacious bedrooms. There’s also a utility room, a very useful drying room / boot room and extra storage space. We hope you’ll love the informality of our kitchen-dining room, with a huge table that comfortably seats 14, and oak-beamed sitting room with its stacks of books and games. There’s even a telescope (8" Meade LX200) and books on star-gazing so you can take advantage of being in an International Dark Sky Reserve, one of only five in the world. If you’re relaxing at the barn you can gaze at the mountains through the huge ‘cart arch’ windows in the sitting room or step out through double doors onto a patio and seating area with table, benches and BBQ. There is also a large garden with trampoline at the back of the barn. 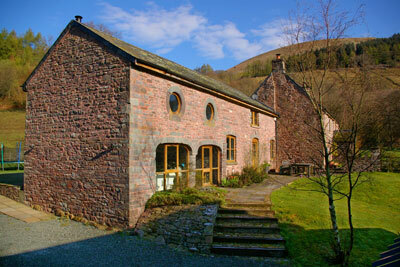 And although we’re in an unspoilt part of the country, in the Brecon Beacons National Park, that doesn’t mean we lack technology – you’ll find free WiFi (there’s no mobile signal but the cottage has its own landline for you to use), DVD and CD player and TV. 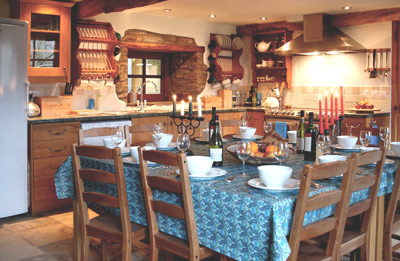 Kitchen-dining room: Ample workspace, very well-equipped for cooking for large groups, tall fridge, gas range-style cooker and hob, microwave, dishwasher, stone-tiled floor and large dining table that seats 14. Sitting room: Oak-beamed, plenty of sofas and armchairs, wood burning stove, books, games, telescope, DVD & CD players, TV, WiFi, views of the mountains, door to front garden, double doors to back garden & barbecue. 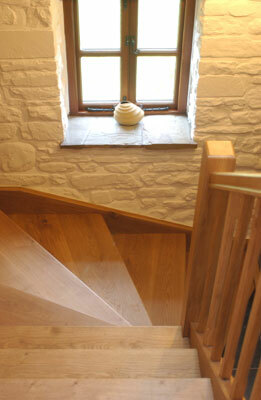 Go up the hand-made oak staircase to four generously-sized bedrooms and two separate loos. All the bedrooms have oak beams, oak floors and overlook the circular front garden with views of the reservoir and mountains. © 2019 Abercynafon Farm. All rights reserved. Login.